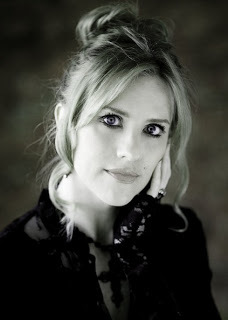 Queen of Chaos by Kat Ross Blog Tour: Review & Giveaway!! 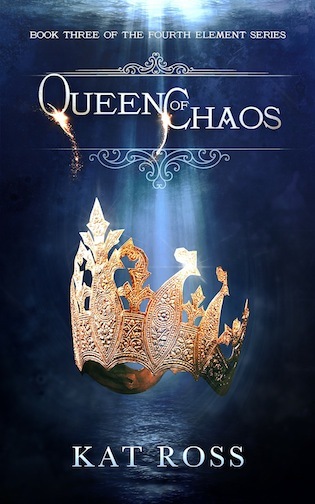 Today I'm super happy to take part of the blog tour for Queen of Chaos, the third and final book in the Fourth Element series by Kat Ross! You'll be able to find all the details about the book as well as my review and a giveaway! 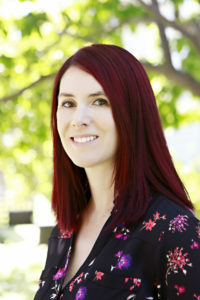 Writing a review for the last book of a series, (and one that connects with another series even!) it's always a very daunting task for me... I'm always unsure about how to review the book, what to mention, what not to mention because I'm always scared that I might end up spoiling something without meaning to! Let's begin with the beginning, shall we? 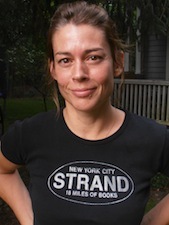 I was a little surprised when the book started with a new POV, and at first Tijah's voice was so different from Nazafareen's that it was challenging, but given how our characters are separated and have two separate aims and are in very separate places, we needed Tijah's POV for their story to be told properly. I must confess soon enough I fell in love with Tijah's voice and her pain and bravery kept breaking my heart! And not only that but we also got Lysandros' POV in this book and I simply loved his voice from the very first moment! As always Kat Ross manages to juggle the balance between world building, character development & plot advancement beautifully! No flat characters, no cookie cutter ones even those that seem to be more in the periphery or not as "important", there's an attention to detail always. And the world building... the world building has to be my favourite part of this series because I adore the mix of fantasy & ancient history that Kat has created! Ancient Persia, Alexander the Great and then mythology made real! And oh my goodness... those revelations and twists and... *flails* I really cannot say any more because I'm sure I'll spoil something and nope, it needs to be experienced with as little knowledge as possible! But trust me, hold onto your socks! Nazafareen & Darius have a wonderful relationship and I love how they've grown as a couple and as a team over the books, and how the slow burn has built into this amazing blaze! Great way to build up a romance for sure and one that had this romancephobic sighing happily, and that's saying something! Balthazar was a character that I hated but felt bad about it but hated again on book two and it continued in this one! He's such an amazing grey character that you want to hate but want to shake at the same time... Kat has done such an amazing job with him! After the ending I've even happier that Kat's other series will mix up with this one in the way it will, because not only I loved The Daemoniac but I need more from our daeva friends! A fantastic ending to a very original series that got better with every page and every book! Kat Ross always knows how to make this bookworm happy and to get me through all the spectrum of feels! Very much deserved 4 stars! The Broken Ones by Danielle L Jensen Cover Reveal!!! The blog has been a bit abandoned as of late, as I'm sure you've noticed, but I'm hoping to recover enough motivation soon enough to start blogging more often and get back in the swing of things, after all, it's not like I've stopped reading at all! Today I'm cleaning the cobwebs from the blog to take part in a cover reveal I'm extremely excited about! 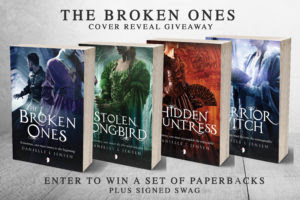 I've always been a big fan of The Malediction Trilogy by Danielle L Jensen since I read the first book, Stolen Songbird and my love and excitement for the series continued through the next two books, Hidden Huntress & Warrior Witch. So when Danielle announced that she was writing a prequel all about Marc & Penelope's story, I was beyond happy! I felt so much for Marc and had always wondered about their story, so having the chance to read it now makes this little bookworm very happy! 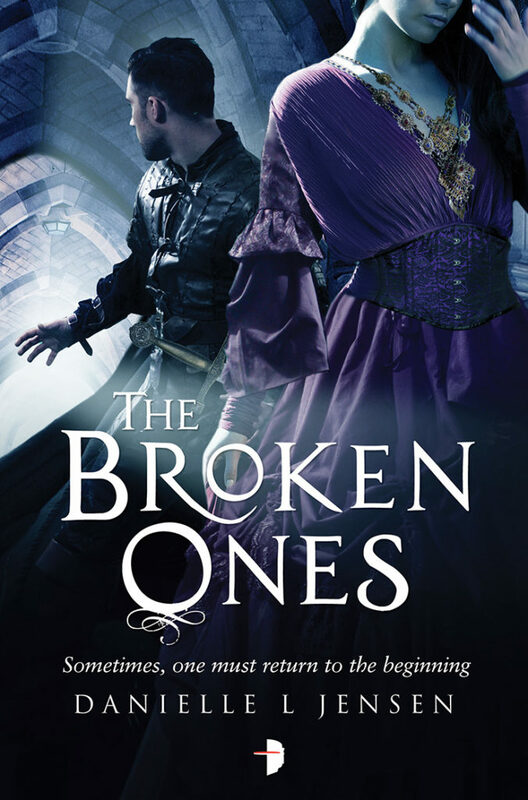 I'm so very happy to take part of the cover reveal for The Broken Ones, the story of Marc and Penelope!! And without further ado, I'll just let you feast your eyes on THE PRETTEEEEEH!!! 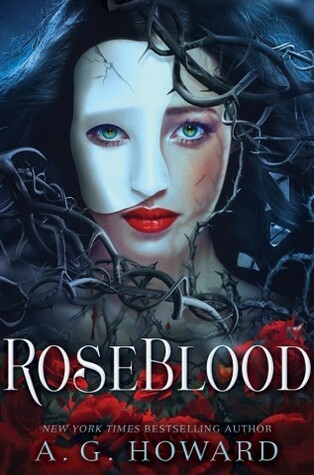 Roseblood by A.G. Howard Release Day Blitz!! 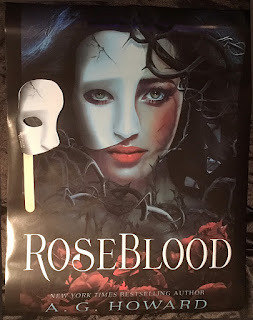 I know the blog has been so very quiet as of late but I am so excited about ROSEBLOOD by A.G. Howard that releases today so I had to take part of the Release Day Blitz! If you haven’t yet heard about this amazing book by author A.G. Howard, be sure to check out all the details below. In this modern day spin on Leroux’s gothic tale of unrequited love turned to madness, seventeen year-old Rune Germain has a mysterious affliction linked to her operatic talent, and a horrifying mistake she’s trying to hide. Hoping creative direction will help her, Rune’s mother sends her to a French arts conservatory for her senior year, located in an opera house rumored to have ties to The Phantom of the Opera. choice: lead Rune to her destruction, or face the wrath of the phantom who has haunted the opera house for a century, and is the only father he’s ever known. I was beyond lucky to get sent a physical ARC of Roseblood by the UK publisher, so I could read it early and I'm just beyond grateful for it! Now I'm awaiting my preoder of the gorgeous finished copy and it won't arrive soon enough for my taste! I read my ARC while listening to the Spotify playlist and it was simply PERFECT! It created the absolutely perfect mood and I highly recommend that you do too if you can! You can find the Spotify playlist for Roseblood HERE! 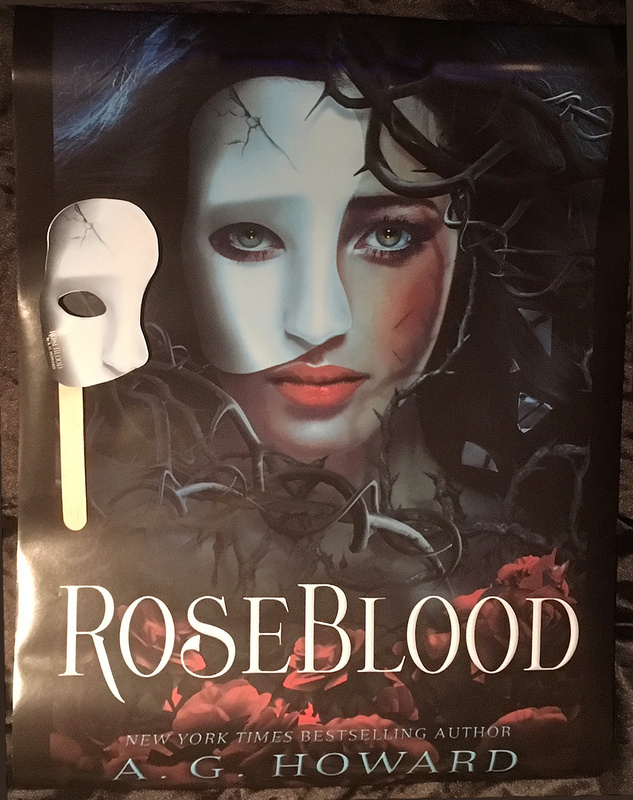 I must confess that all my knowledge of The Phantom of the Opera comes from popular culture and the Iron Maiden song, because I haven't read the original book or seen the musical, BUT NOW... Now I'm itching to see the musical and read the original book, as well as re-read Roseblood! Anita's writing is as visual and lyrical as always, it's one of the things I love the most about her books! I'm not usually one to get images very clearly in my head while reading, but with Anita's books? I always feel like I see and feel and almost even smell it all!